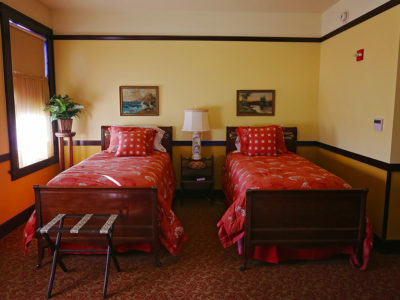 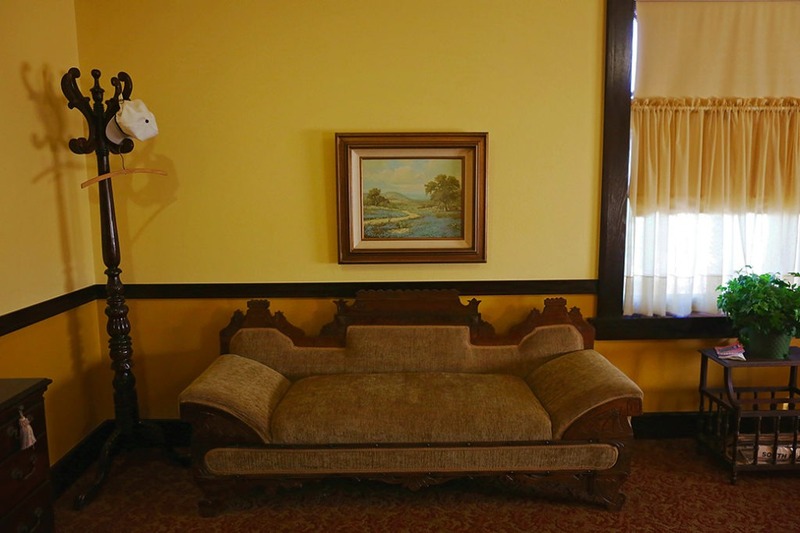 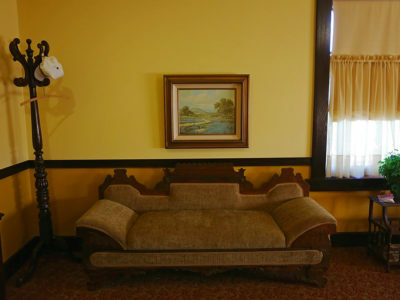 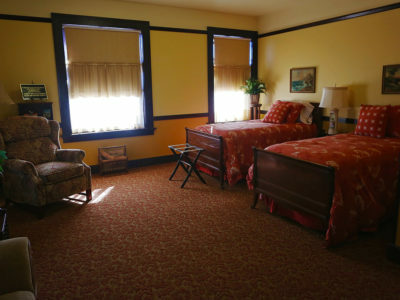 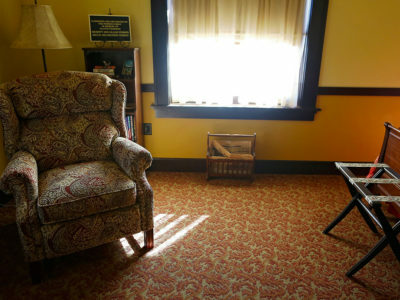 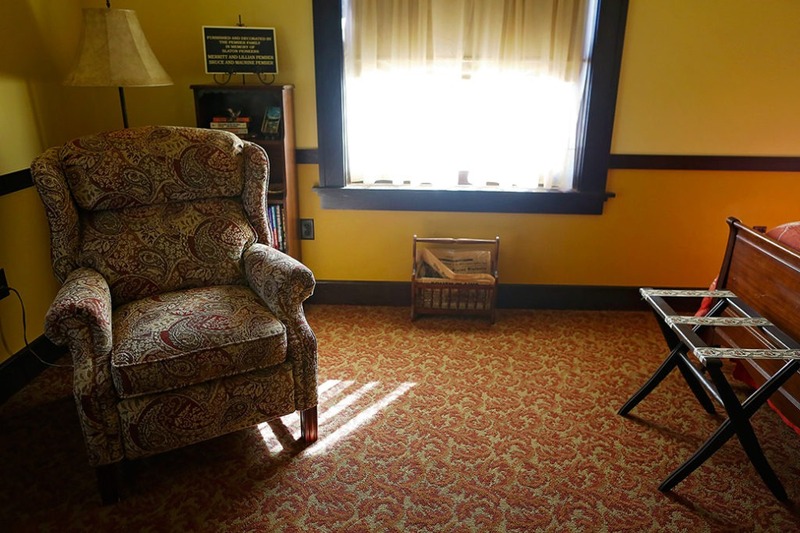 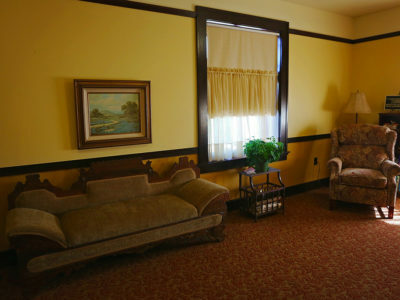 The Hopi Room is quaint and comfy, with two twin beds and a recliner. 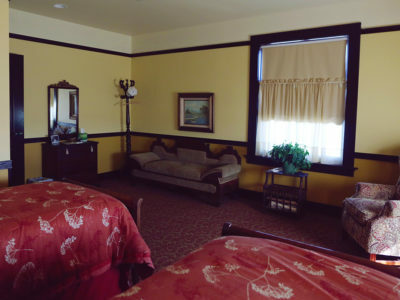 It has a fantastic view of the rail-yard, and a hallway bathroom. 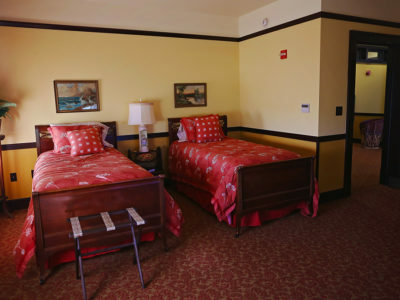 The bathroom is assigned to the Hopi Room and is private, handicap accessible, and situated at the end of the hallway. 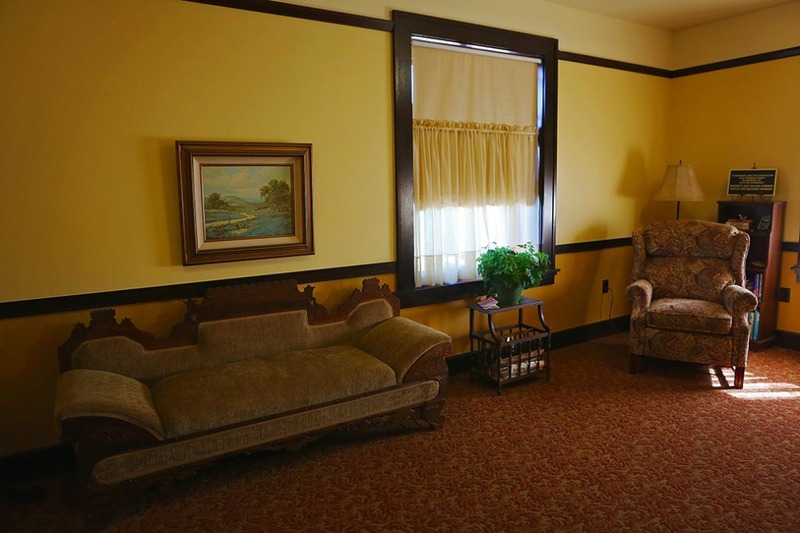 It was furnished and decorated by The Pember Family in memory of Slaton Pioneers, Merritt and Lillian Pember and Bruce and Maurine Pember.